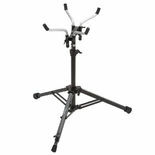 Dynasty Percussion is a leader in the Marching and Orchestral world. 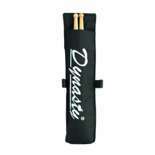 Dynasty manufactures top quality products that are used by the top competitive marching ensembles world wide. 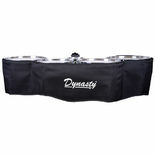 Dynasty logo drum covers are made of a durable padded nylon with an embroidered logo. 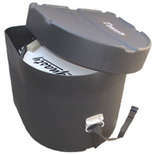 Dynasty Marching Snare Drum Cases are made of roto-molded polyethylene plastic. 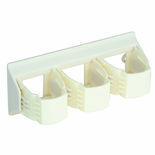 They are tough on the field, under the bus or even take them on the airplane. 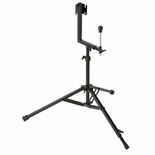 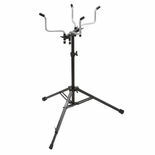 The Dynasty Marching Bass Drum Mallet Holder will adhere to the bass drum shell creating a secure mallet holder on the instrument. 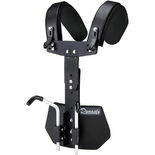 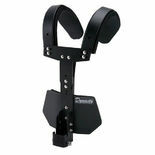 Dynasty USA T-Max Bass Drum Carrier with SEM Mount in Powder Black Coated finish. 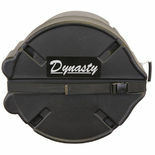 Dynasty Marching Bass Drum Cases are made of roto-molded polyethylene plastic. 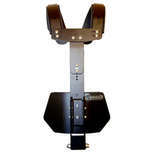 They are tough on the field, under the bus or even take them on the airplane. 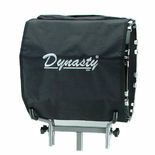 Dynasty logo drum covers are made of a durable padded nylon with an embroidered logo. 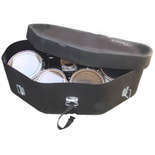 Bass Drum covers come in sizes 16" - 32" as listed below.